Michelin awarded three Dutch restaurants with two new stars while the number of star restaurants in The Netherlands 2015 Hotels and Restaurants red guide increased to 100. As before, only two restaurants in The Netherlands have three Michelin stars while the number of two-star restaurants increased to 19 and one-star restaurants to 79. The 2015 Michelin Nederland Hotels and Restaurants red guide described in both Dutch and English 1217 properties – 552 hotels and 665 restaurants. The Michelin 2015 Red Guide for The Netherlands awarded new two-star awards to three restaurants. The Librije’s Zusje Amsterdam succeeded in taking its two stars from the restaurant closed in Zwolle to the new one opened in Amsterdam’s Waldorf Astoria hotel. This increased the number of Michelin two-star restaurants in Amsterdam to four. However, fine dining in The Netherlands are often easier found outside major cities. The two one-star restaurants upgraded to two-stars in the 2015 Michelin Netherlands guide are in smaller provincial towns: ‘t Nonnetje in Hardwerwijk (Gelderland) and De Lindehof in Nuenen (North Brabant). The number of restaurants in The Netherlands with Michelin stars increased to 100 – in the 2010 guide it was 91. The three-star restaurants in The Netherlands remained two for the 2015 guide: De Leest of Chef Jacob Jan Boerma in Vaasen (Gelderland) and De Librije of Chef Jonnie Boer in Zwolle (Overijssel). The two-star restaurants in The Netherlands 2015 Michelin red guide increased by one to 19. One two-star restaurant from the 2014 guide moved taking its stars to Amsterdam while De Leuf in Ubachsberg was downgraded to one star. The one-star restaurants in The Netherlands decreased in 2015 to 79 – five restaurants received their first star while nine lost their stars from a year ago. Ten of the one-star restaurants are in Amsterdam but the rest is well dispersed throughout The Netherlands with smaller provincial towns often setting the tone for gourmet dining. Michelin noted a trend in The Netherlands to serve excellent food at more moderate prices including star restaurants where it is possible to enjoy a lunch for under €40. Not surprisingly then the number of Bib Gourmand restaurants increased by 22 to 115 in the 2015 Nederland red guide – 13 are in Amsterdam. Bib Gourmand restaurants in The Netherlands must serve an excellent three-course menu for less than €37. Michelin listed a further 95 restaurants where a good menu can be enjoyed for less than €26. 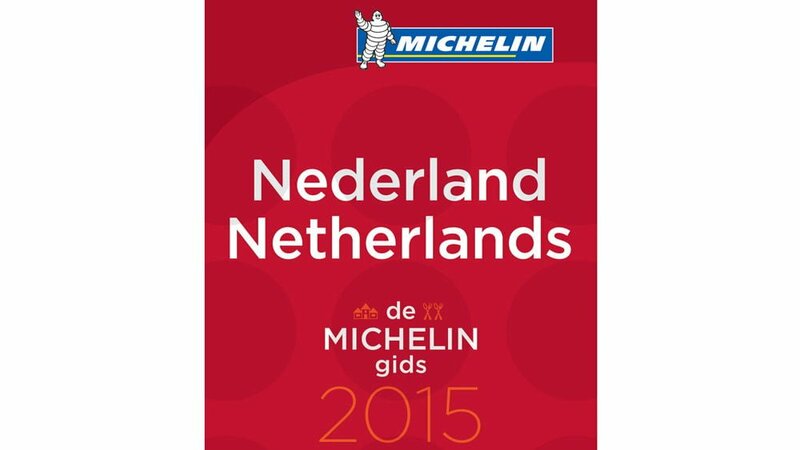 The Michelin 2015 Nederland / The Netherlands Hotels & Restaurants red guide went on sale on November 20, 2015. It is priced at €22 in The Netherlands and at €26 at Amazon Deutschland . It may be significantly cheaper once available from Amazon UK and Amazon US .